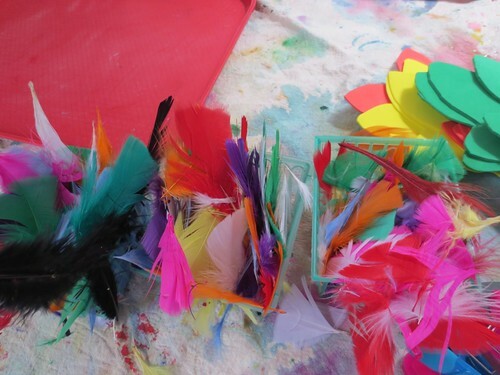 Today’s Preschool Project involves feathers. 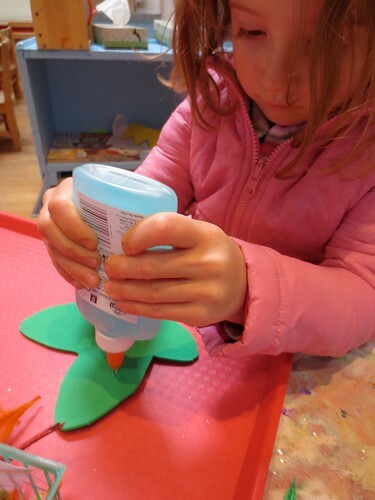 Cut out the butterfly shapes from the sheets of foam before the project starts. I explained that we wanted the butterflies to match. If they put a pink feather on one side, they should match it with a pink feather on the other side. 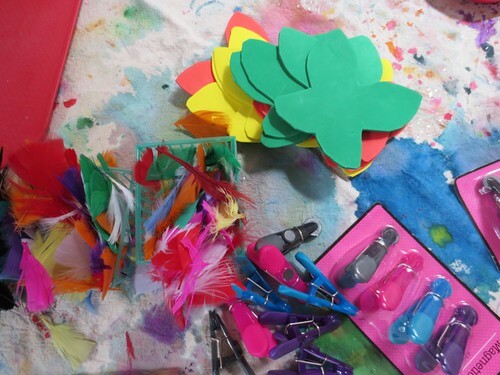 We need to add “feathers” to the list of “my favorite craft ingredients” up there with glitter, pipe cleaners, and google eyes. They are fun to hold, neat to have in your hands and come in beautiful colors. We used the blue Elmer’s gel glue. 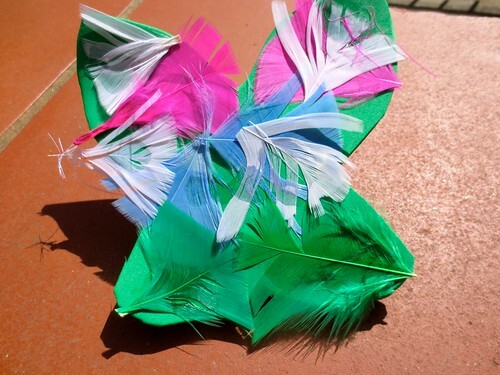 The kids would put it on and if it was too thick I would just fold the butterfly in half to redistribute the glue. Once the feathers are on, the adult can trim the wispy parts of the feathers to be the shape of the butterfly, if that seems appropriate. 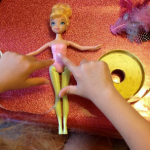 One strip of hot glue will stick the butterfly to the magnet clip. And dries almost immediately. These were a big hit. There is a little bit of flexibility. And it is not “coloring” or “painting”. Fun! It’ll be even better for me when Niobe is old enough to do these sorts of art projects. I’ll have to come back to all of your interesting posts.